Clarification: This article has been updated to include additional information about how the iBeat watch connects to EMS services. Today San Francisco-based startup iBeat launched its pulse-sensing iBeat Heart Watch, which aims to alert medical professionals if someone is going into cardiac arrest. Inspired by the death of a friend who could have been saved by CPR, Ryan Howard, founder and CEO of iBeat, said he decided to start working on a device that could prevent deaths. The team came up with a watch that could check 12 physiological markers and then connect to services. One of the main goals is to get help to people who are going through cardiac arrest and can’t call for help themselves. After the device has checked in, it can start to take action and connect to emergency medical services. In an email to MobiHealthNews iBeath further explained that in this situation where a person is having an emergency but unable to call on their own, the watch will connect them to a dispatch center. The dispatcher will then call the victim’s local 911 PSAPs and relay this information to the 911 operator, according to the company. However, getting complicated clinical data from the 911 operator to the EMS responding can be difficult because 911 dispatch centers send the coded information, and typically don’t have the capabilities to send specific patient data. iBeat said, as a way to give EMS teams more information when they do get on site, the patient’s watch displays clinical information and beeps. The system is intended for people with a history of cardiac problems. Users are also able to connect family members and caregivers to the alert system. When a person goes into cardiac arrest for too long it can cause long-lasting brain damage or death. To combat this, iBeat is going to be looking to the help of vetted individuals willing to pitch in. If someone is going into cardiac arrest nearby, a Samaritan will be contacted. In addition to the pulseless-ness detection, there is a button on the watch that can connect a user to help if they have another emergency. Right now the company has a waitlist for 50,000 people and it is looking to link up with life insurers who, Howard said, are interested in the longevity of a client. 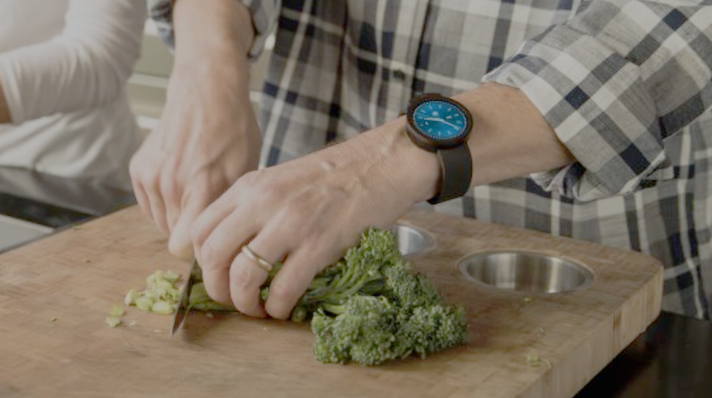 In May the startup landed $5.5 million in funding and said the goal was to use the funding to launch the Heart Watch.